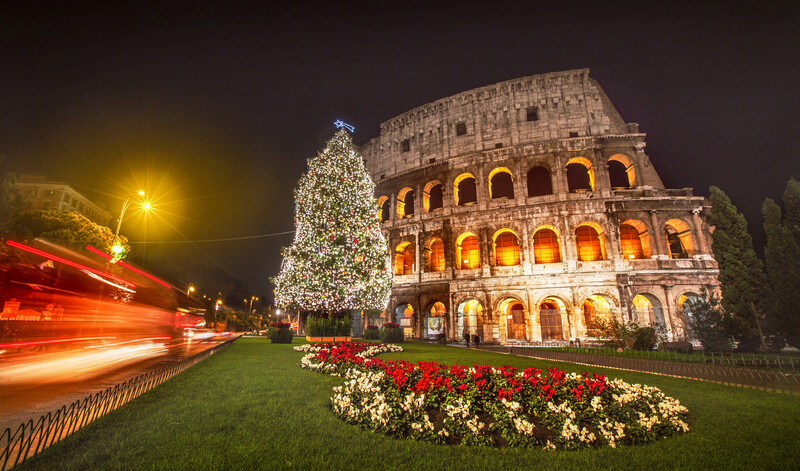 Christmas is one of the most beautiful times to be in Rome. 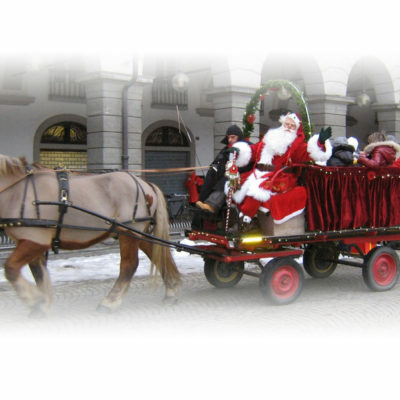 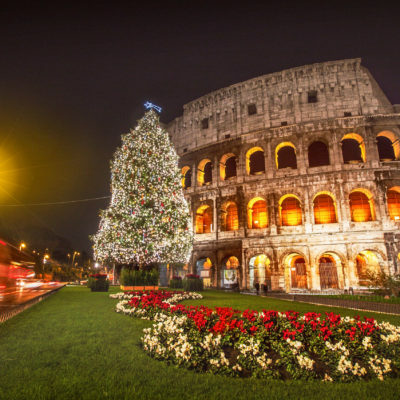 The narrow streets of the historic center light up with strings of Christmas lights while enormous Christmas trees are erected in the most iconic piazzas, such as in front of the Colosseum and St. Peter’s Basilica. 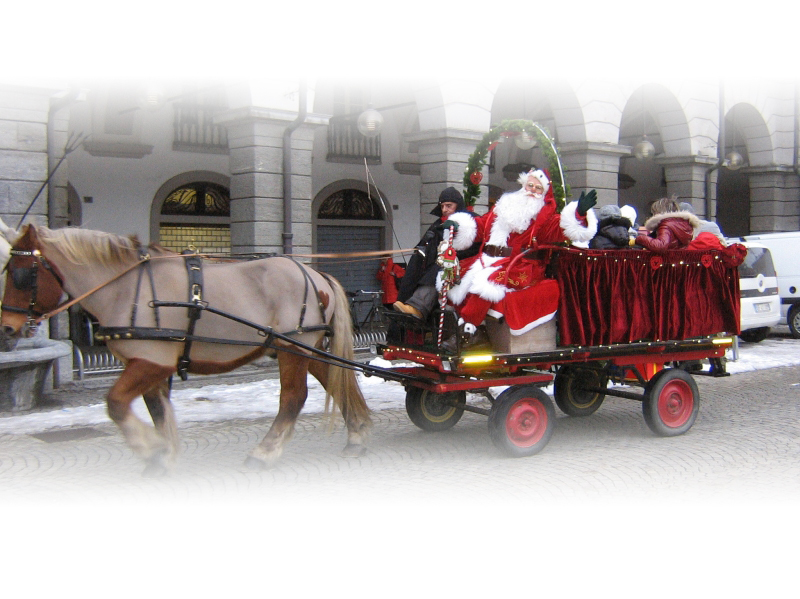 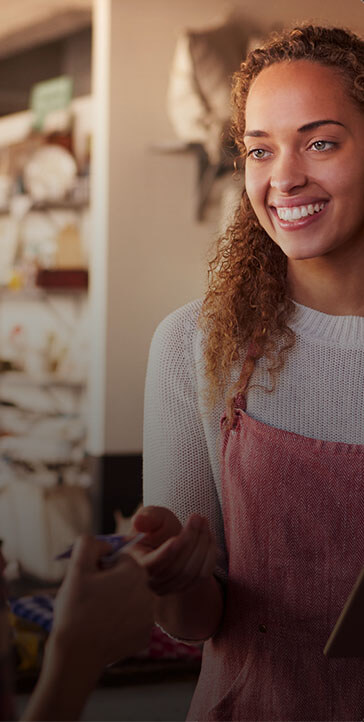 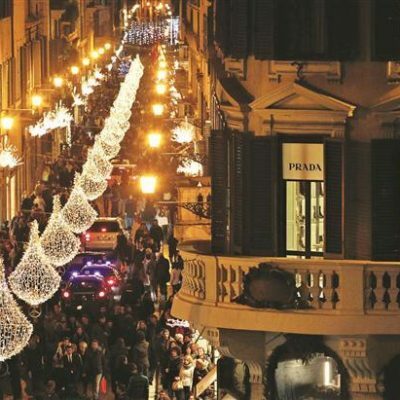 The holiday atmosphere is rounded out by shop windows dressed with some of the best things Italy is known for: fashionable clothes and accessories. 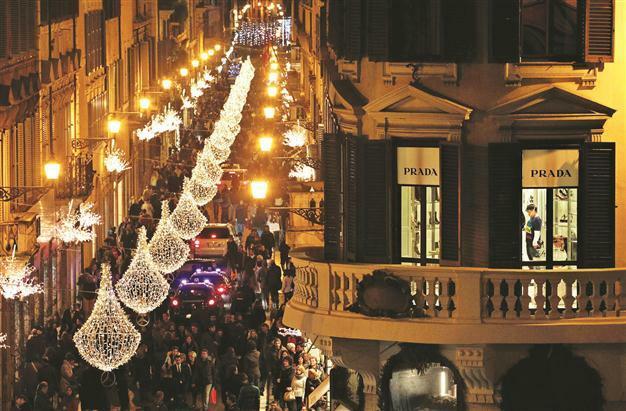 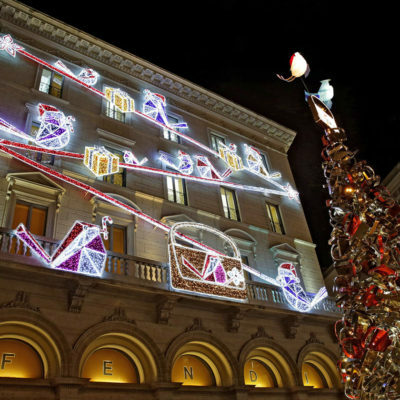 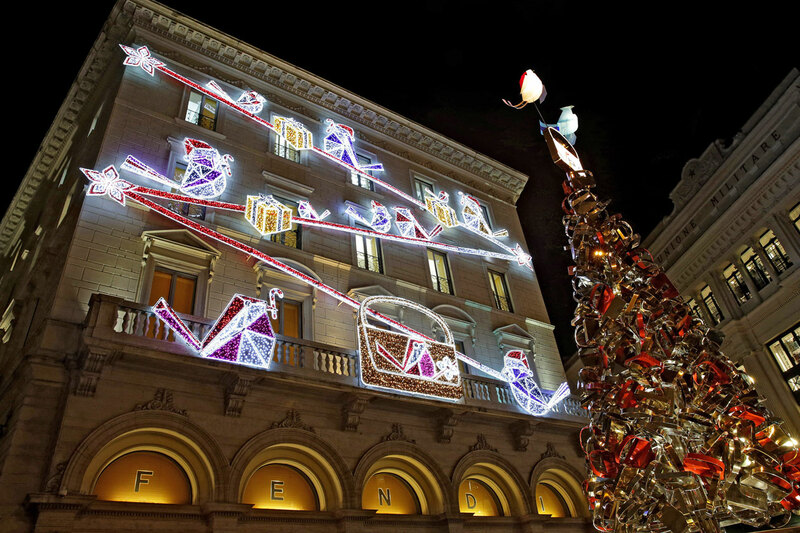 For high-end shopping head to sparkling Via Condotti that ends at the Fendi store lit up for Christmas.